With the new Moto 360 has yet to begin shipping out, Motorola is giving those who own the older Moto 360 some new features. 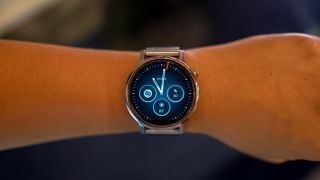 The company has updated its Motorola Connect app, adding new watch faces that include the Live Dials feature that is set to come with the new Moto 360 once it ships out. The new watch faces, Dials and Dials II, lets you add a trio of live dials that show you information like the date, weather, the watch's remaining battery life or steps you've taken. Essentially, they look similar to the chronographs found on a traditional timepiece and are now available on the older Moto 360. As part of the update, you'll also get more traditional looking watch faces called Essential and Refined. And though it isn't a noteworthy addition, the update also lets you change the color of your charging screen.